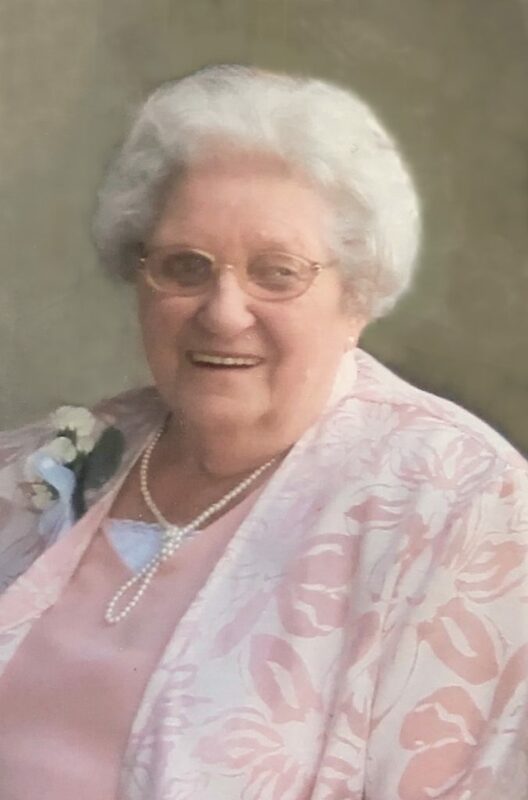 Agnes Mary (Imlach) Brumpton passed away peacefully, at the West Parry Sound Health Centre, on Tuesday, January 29th, 2019. Age 97 years. Beloved wife of the late Herbert. Dear mother of Wilfred Brumpton; Helen and her husband David Kupsch; Edward and his wife Debbie; and Jim and his wife Sue. Loving Grandma of Rick and Tim (Nicole); Michael (Randi), Heather (Peter), and Darryll (Stacie); Kevin (Meghan), Benjamin, and Jaclyn (Aaron); and Amanda (Josh) and Jeremy. Lovingly remembered by her nine great grandchildren. Dear sister of Jean Hill, and the late Margaret, and Nancy. Fondly remembered by her nieces, nephews, other relatives, and friends. A Private Family Service will take place in the Logan Memorial Chapel (705-746-5855), 81 James Street, Parry Sound, on Tuesday, February 5th. A public visitation and reception will follow at the Logan Funeral Home on Tuesday, February 5th, from 2:00 – 4:00 P.M.
Cremation, followed by interment at Fairholme Cemetery, Dunchurch, in the spring. As expressions of sympathy, donations to the Royal Canadian Legion Branch #394 Dunchurch, or the CNIB would be appreciated. Send a condolence to the family of AGNES BRUMPTON.